We're introducing our most exciting and comprehensive training package ever; to offer you the opportunity to learn range of exclusive skills in some of the key aspects of the lab's capabilities: 3D scanning, 3D printing, CAD file creation and laser cutting. - 3D scanning. Here you will be introduced and taught 3-D scanning. You will learn how to use our Einscan Pro Plus to scan several different objects and two scans will be progressed to the 3D printing stage. - 3D printing. You have the opportunity to receive full training on how to use our 3D printers - the Ultimaker for FDM printing and our Formlabs printer for SLA resin printing, giving you the skills required to start prototyping ideas, scans or CAD drawings. - CAD. We offer you the opportunity to choose a CAD package, from Solidworks, Fusion 360 or Sketchup and our technical specialists will show you the basics of how to CAD a model from scratch. 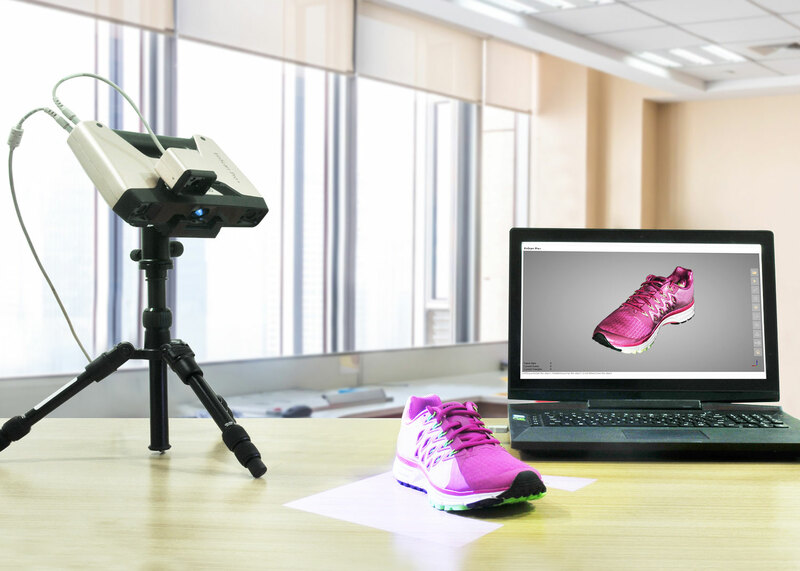 Additionally, you can choose a mesh based software, often used in conjunction with 3D scanning to clean up after the scanning process such as Meshmixer and we will guide you through this program one-on-one. - Lasercutting. We have 3 laser cutters which vary in size, power and cutting capability. Should you choose this, you will be taught how to create create several different types of file including etching, engraving cutting 2D and assembled 3D design in Adobe Illustrator. We will then guide you through the process of laser cutting these designs. Should you feel there is a facility you want some specific training on that is missing from this list, please don't hesitate to let us know and we will endeavour to set a bespoke training plan to accommodate your needs.